Students interested in teaching 1st through 6th grades can register for a new program beginning this fall at Missouri University of Science and Technology. The new elementary education program will prepare students for teaching careers that emphasize science, technology, engineering and mathematics (STEM). Dr. Mandy Welch has joined the Missouri S&T faculty to help facilitate the new program. 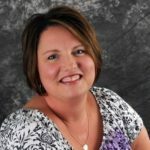 A native of Salem, Missouri, Welch was most recently the principal of Smithville Upper Elementary in Smithville, Missouri. “Mandy brings a wealth of knowledge with her,” says Dr. Jana Neiss, director of Missouri S&T’s Teacher Education Program. “Her district has a history of impressive test scores and her experience with the implementation of Singapore math will significantly enrich our program.” The teaching method is based on Singapore’s national math curriculum. The new elementary education component of Missouri S&T’s Teacher Education Program will include extensive field and clinical experience in collaboration with Rolla Public Schools. “Our students will also bring Project Lead The Way to the elementary level,” says Neiss. PLTW is a program that provides science and engineering education in elementary, middle and high schools throughout the nation. The fully accredited elementary education program is endorsed by the Missouri Department of Elementary and Secondary Education. Missouri S&T also offers a teacher certification program for teachers of grades 9 through 12.